A. Licinius Nerva was one of the moneyers for the year 47 BC. He is not otherwise known. Gens Licinia was a celebrated plebeian family at Rome, which appears from the earliest days of the Republic until imperial times, and which eventually obtained the imperial dignity. The first of the gens to obtain the consulship was Gaius Licinius Calvus Stolo, who, as tribune of the plebs from 376 to 367 BC, prevented the election of any of the annual magistrates, until the patricians acquiesced to the passage of the lex Licinia Sextia, or Licinian Rogations. This law, named for Licinius and his colleague, Lucius Sextius, opened the consulship for the first time to the plebeians. 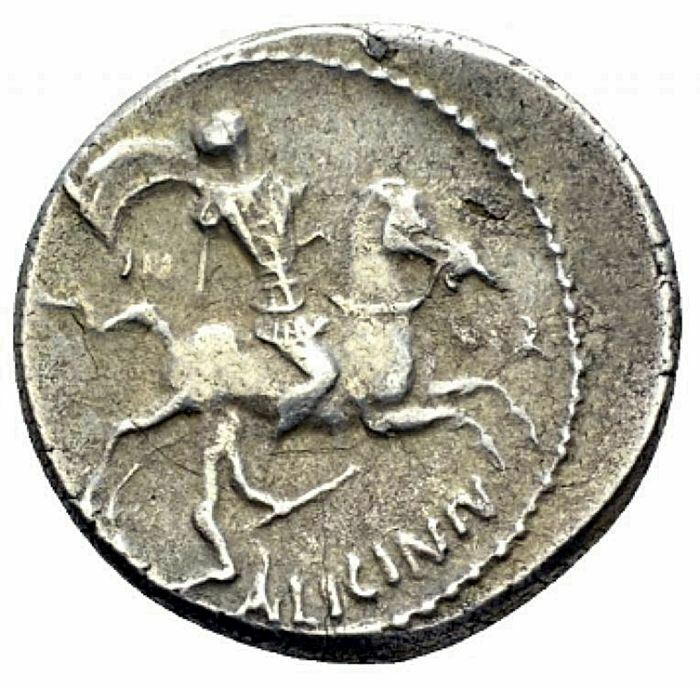 Of the other surnames of the Licinii might be mentioned Nerva, the surname of a family of the Licinii that flourished from the time of the Second Punic War until the early Empire, derived from nervus, "sinewy".